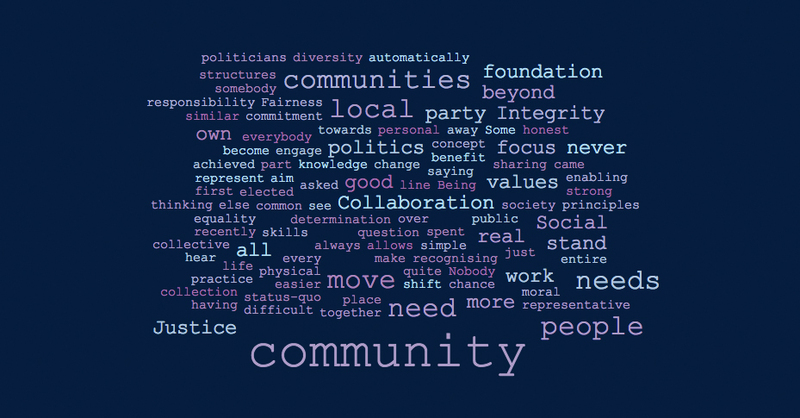 Integrity, Collaboration and Social Justice are the heart of community and what I stand for. This is a simple and yet quite difficult question. I was asked this recently and the first word that came to me was Community. My entire life has been spent in community, whether that is a physical place, a community of practice or a collection of people sharing similar values and working for a common good. Some of the principles that underpin the concept of community, for me, are Integrity, Collaboration and Social Justice. Being honest and having strong moral values is the foundation of my commitment to community. It should be the foundation of every public representative. 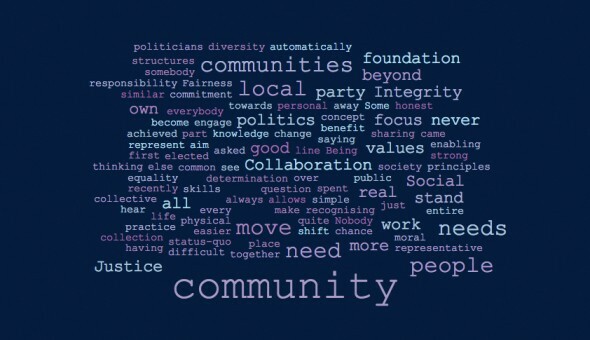 A move beyond just saying what people want to hear so you can get elected, a shift in thinking and a move away from the politics of the status-quo which allows personal benefit to triumph over community need. Nobody can do it all on their own. By recognising and valuing the diversity of our own communities, with their collective knowledge, skills and determination, I never underestimate what can be achieved when we work together. Local politics needs to move beyond the party line, local politicians need to focus on the real needs of the communities they represent, not the party. Fairness and equality in our society is the responsibility of us all. Creating local democratic structures which make it easier for people to engage is an ultimate aim of what I stand for. The more we focus on the real needs of our communities, the more we automatically work towards enabling everybody to become part of the change we need. If we always wait for somebody else to do it, there’s a good chance we’ll never see it.